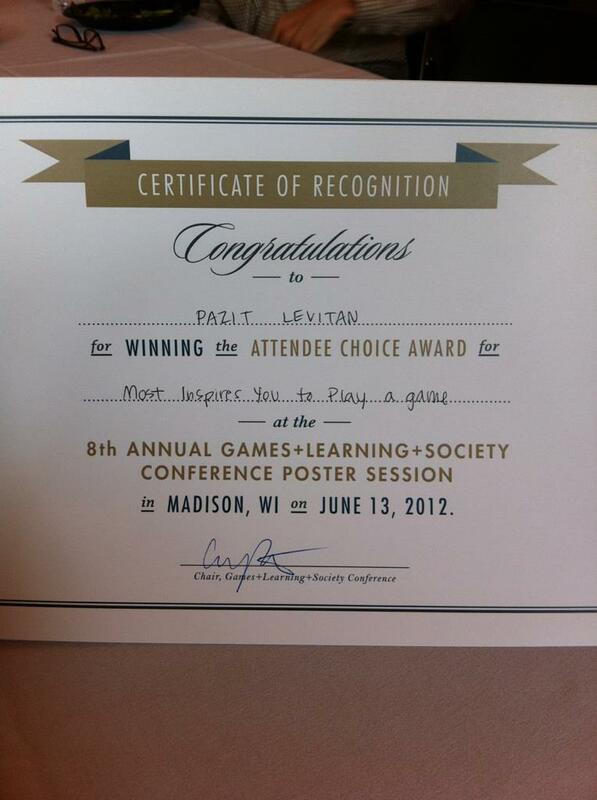 Thanks to attendees at Games, Learning and Society conference in Madison, WI, our game Lit2Quit: A Mobile Game for Smoking Reduction won “Attendee Choice Award” for being the game that inspires playing most. This is the BEST award that game designers could accept! A great infographic from the folks at GOOD on Nicotine impacts and educational efforts around the world. Smoker? Play our game and receive $30! 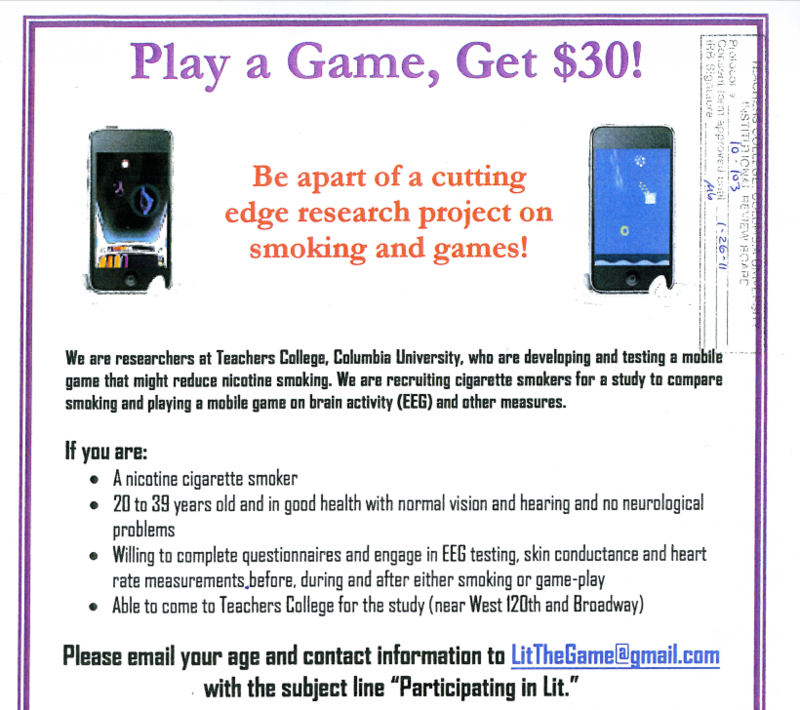 If you are a 20-39 years old nicotine smoker, and live in or near New York City, you can support our research by coming into Columbia University for 1.5-2 hours to play-test our game. $30 compensation for your participation. For more information please email LitTheGame@gmail.com. Thank you! New research shows that game boosted quitting success rates by 15%, according to a new article on “Cult of Mac” by Nicole Martinelli. Read more – http://www.cultofmac.com/psychologists-crush-your-smoking-habit-with-an-app/86678.